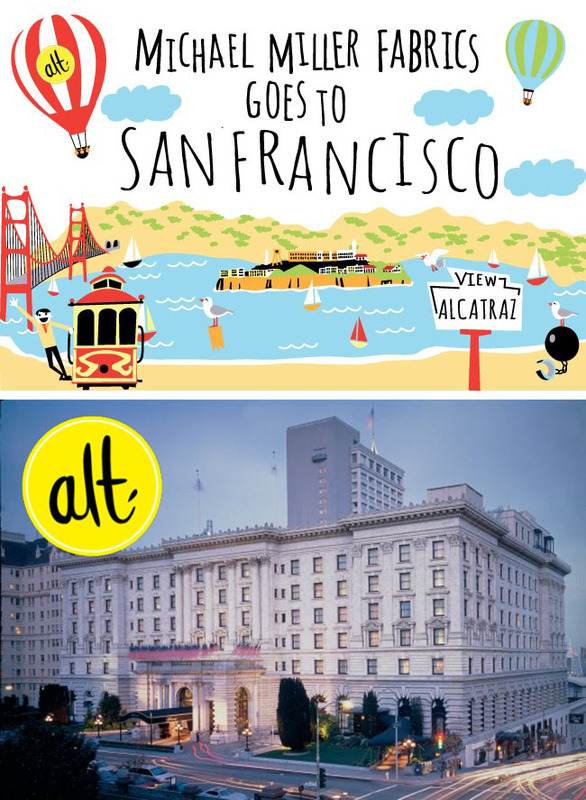 making it fun: Alt Summit San Francisco: Return to Alcatraz (by way of the Fairmont Hotel)! Alt Summit San Francisco: Return to Alcatraz (by way of the Fairmont Hotel)! 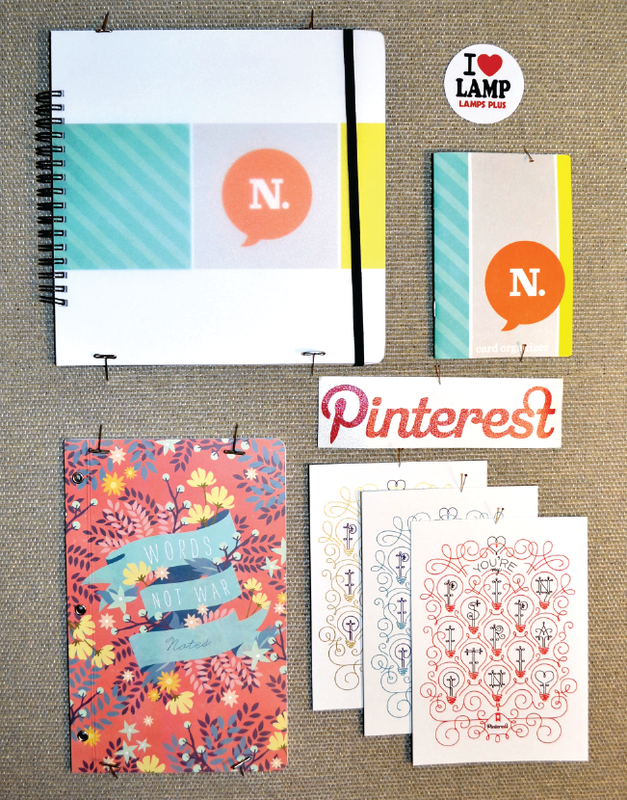 Alt Summit took place in the historical Fairmont Hotel in San Francisco and we were thrilled to be there! It was inspiring and just plain amazing to be surrounded by so many talented and creative people. As sponsors, we were able to set up a photo booth. 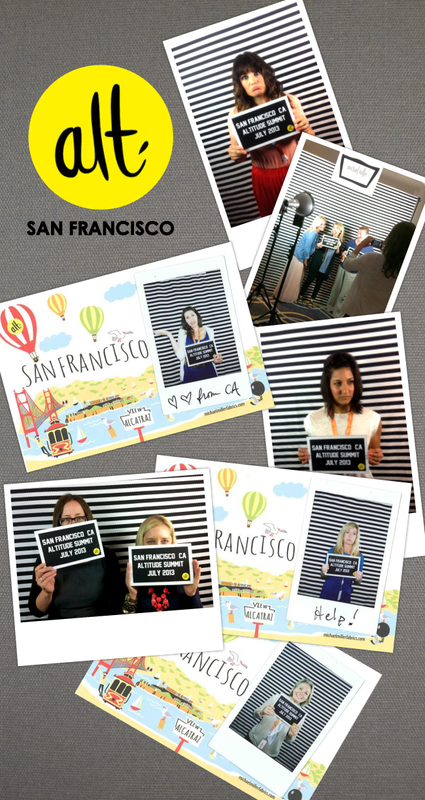 We thought that it would be fun to represent San Francisco-- and what better way to do it than with an Alcatraz inspired mug shot?! We made the backdrop with Thin Stripe from Bekko and we took the photos with a Fuji Instax mini. Then, we taped the instant photos to a super cute Alcatraz postcard. We hope this was a fun souvenir for all of the alt bloggers! We also took tons of pictures with phones and digital cameras so the photos could be posted on Instagram #michaelmillerfabrics #altsf. Log in and check 'em out! In between photo-ops, we were lucky enough to hear some of the keynote speakers. If you feel like getting lost for a few hours, visit their sites! ...and so many more! You can check out the list over at altitudesummitsf. 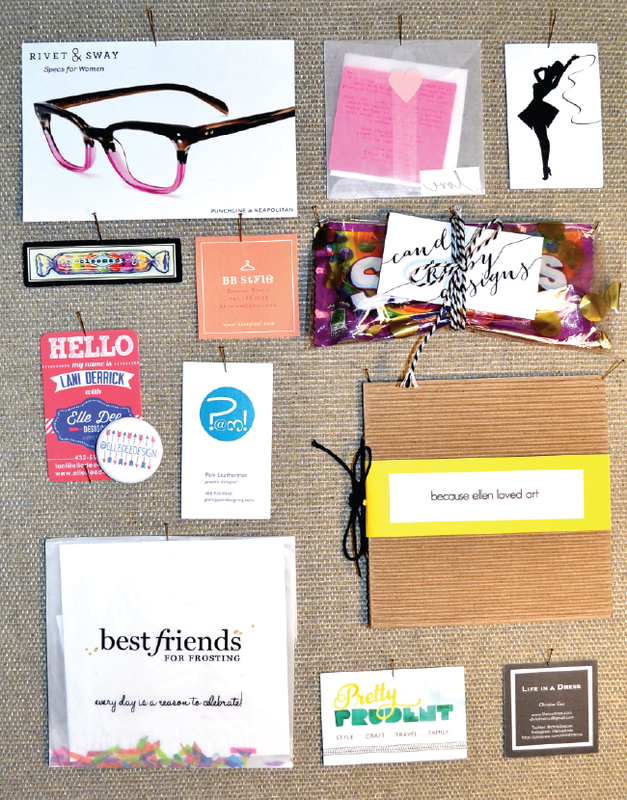 And, I can't blog about alt without mentioning all of the fantastic packaging, swag bags, interesting business cards and cute ways that creatives stand out! 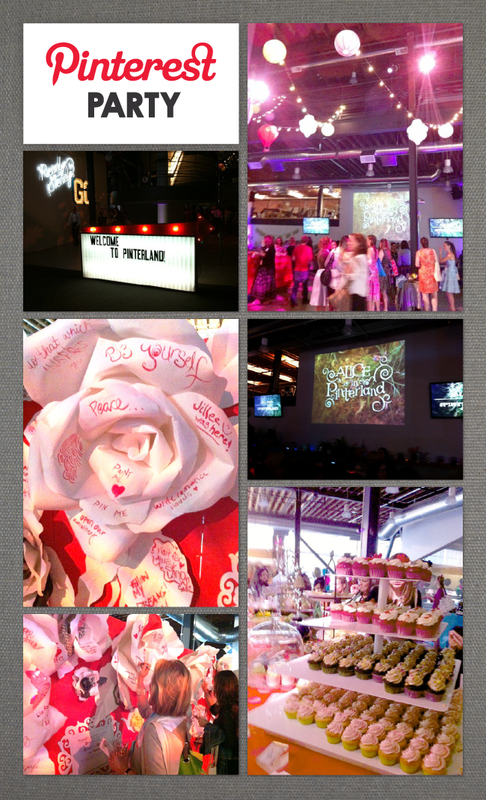 The Pinterest headquarters is located in San Francisco and they hosted a lovely after alt "Alice in Pinterland Party". What fun! Tiny treats, yummy cocktails, and great company- the perfect way to wind up an excellent couple of days. *Kathy and I are painting the roses red in the photo above... This wall was designed by Ellen Mattesi of Juvenile Hall Design. She blogs about it here. Michael Miller provided Bekko fabric to all of the alt attendees- just enough to make a Box Bag like the one over at Pretty Modern (pictured below). Thanks for participating- comments are now closed. "One of my favorite blogs is A Holy Experience. I enjoy it and am inspired by it often!" A blogger who inspires me is my friend Lynne or Lilysquilts. She does a great deal of work with a charity called SiblingsTogether, working to give a quilt to foster children who are separated from their siblings!! She's amazing! Sarah at Confessions of a Fabric Addict inspires me every week. She is so productive and most of her sewing is for others! I am always so inspired by Camille Roskelly. She has fun quilts with such bright colors! I love all of it. 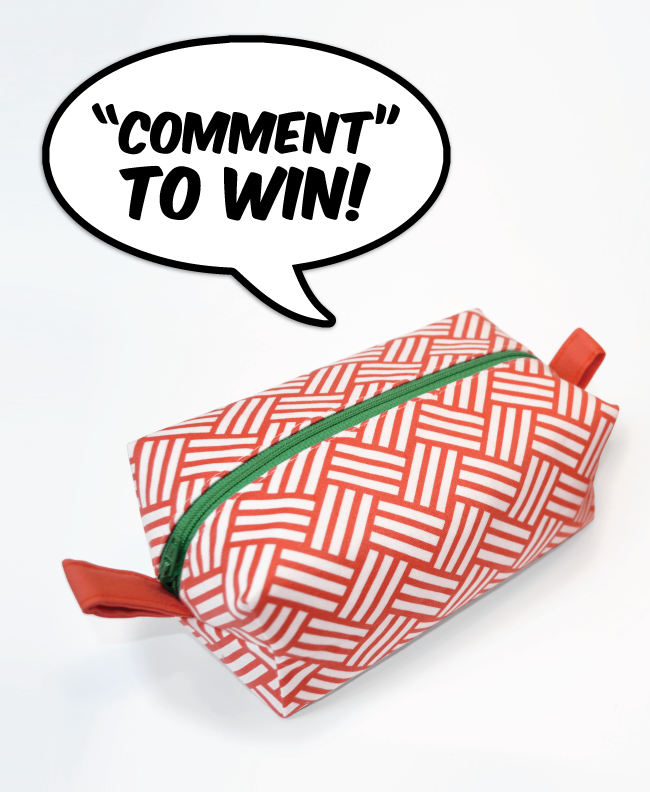 The bag is super cute I would love to win and make one for a friend!! My go to patterns and books are by Thimbleblossom. Classic, but with a twist. My favorite blogger is Sewwequilt by Madam Samm! She has blog hops to so many other blogs that are a delight to explore! Janelle at Echinops and Aster is fabulous - Lots of excellent tutorials and tips and she is so good putting together great fabrics for projects. Her Honeycomb stitch along was great. 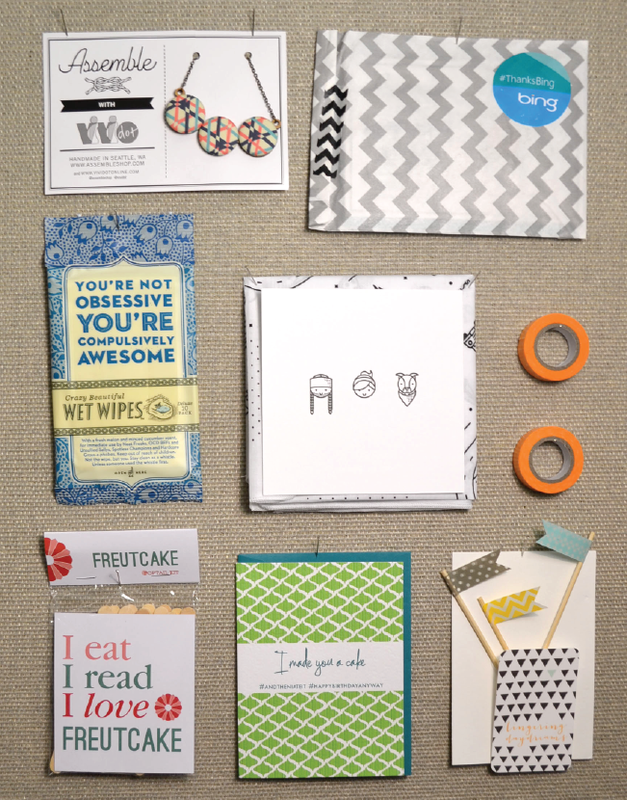 I would love to make one of the cute box bags for a friend! The Alt Summet looked like lots of fun. Thanks for sharing! One of my favorite blogs is A Holy Experience. I enjoy it and am inspired by it often! Katy at imagingermonkey - great ideas and a great sense of humour! The Tea with Friends blog inspires me. She shows such lovely things. I don't have time to follow lots of blogs, but I do like Confessions of a Fabric Addict - she's the aunt of a friend and her work is inspiring! Mariah at Formula Mom is an inspiration! I love reading her blog. I am very inspired by Ashley of Lil Blue Boo. Her story about overcoming cancer and living life is amazing! A blogger that really inspires me is Amandajean of crazy mom quilts. I don't think there is anything she can't do. And this bag is so cute! You didn't say it had to be a quilter's blog so I'm referencing Alicia Paulson's Posie Gets Cozy blog here. She is a wonderful writer and crafty in all areas. I could spend all day reading blogs but unfortunately I have to work! The blogger I have been following the longest is Maureen Cracknell at Maureen Cracknell Handmade. She does such beautiful work - I love her embroidery by sewing machine. Hello. First, i want to thank you for the mention of my roses. Hope you enjoyed them. As for a blogger I like, I think Kelly Lanza from StudioDIY is adorable. Her projects are always fresh. They are never intimidating. The supplies are easy to find. They are also super colorful. And I must say that she is a tweeting queen. I don't know how she keeps up. So many inspire me, but one of favorites is jonelle at blue elephant stiches, sorry I might have spelled her name wrong. She is great with colors! Elizabeth Eastmond of OccasionalPiece-Quilts! is my inspiration! She is a great quilter (and traveler, writer, teacher) who doesn't shy away from trying new things and helping those who dare to try them, too. Swirly Girls Designs keeps me inspired. So many ideas and photos -fun to visit & then go create something! I'm inspired by Steph at 3 Hours Past the Edge of the World. She quilts on occasion, mostly she's a garment sewer. It's been fun watching her launch her pattern company.